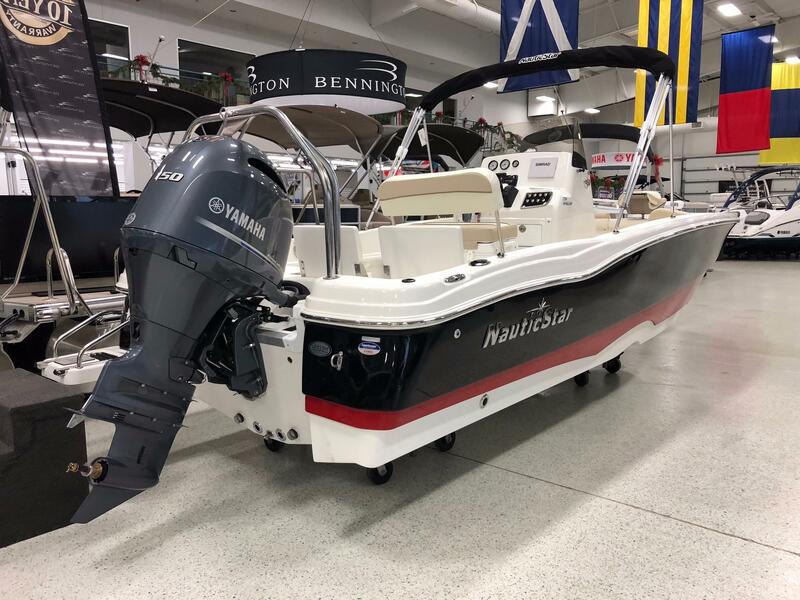 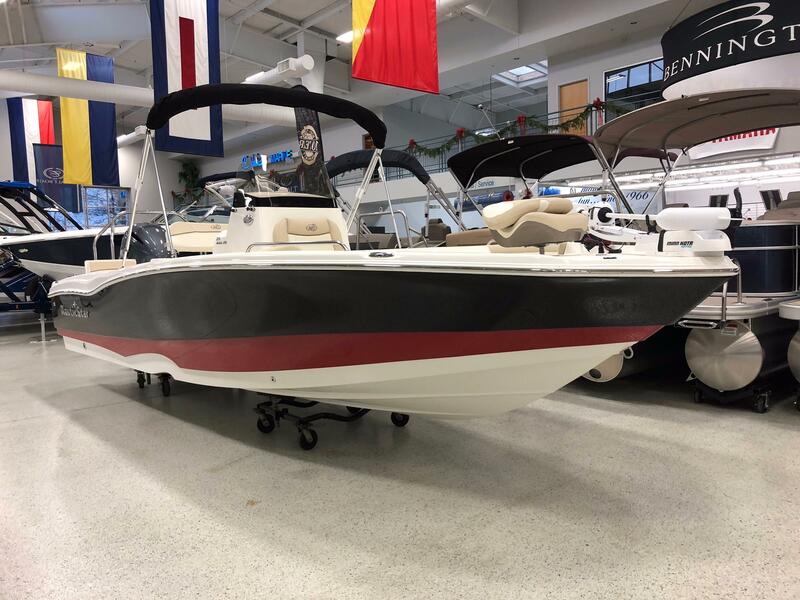 2018 NauticStar 231 Angler featuring a Black Hull Side with a Red Accent Stripe. 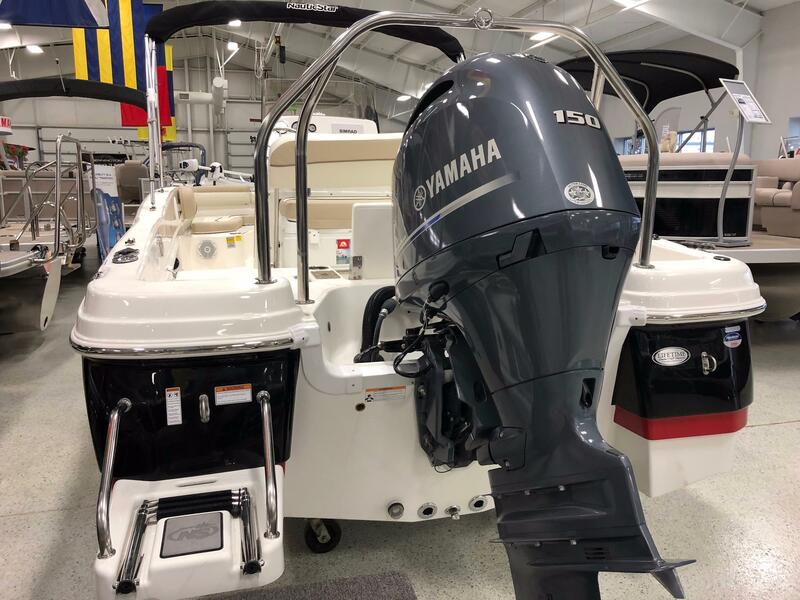 Powered by a 150hp Yamaha 4 Stroke with a Stainless Steel Prop. 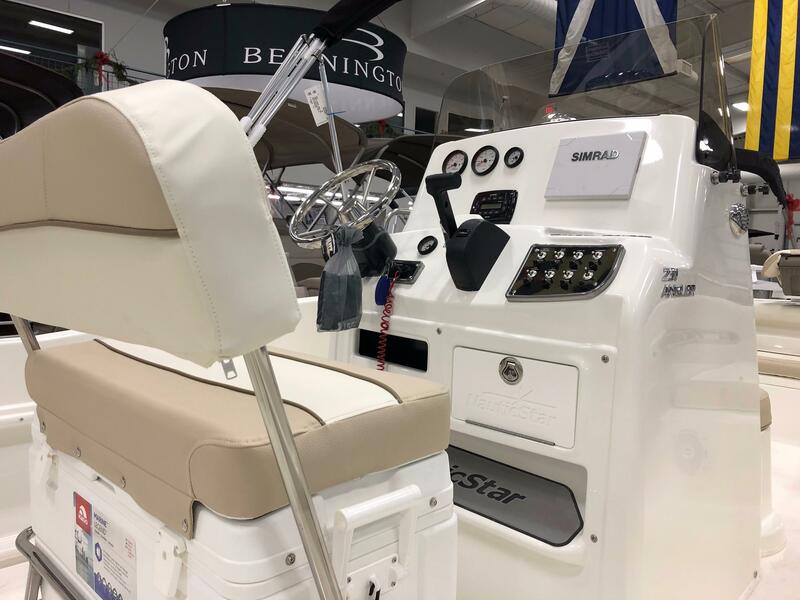 Features Include: Bimini Top, Go7 Simrad, Minkota 80lbs Thrust Saltwater Trolling Motor with Quick Connect, Dual Batteries with Charger, Bayboat Trim Package, Fresh Water Washdown, Deck Fishing Seat, Ski Tow Bar, Bow Flip Out Lounge, Console Rails, Tandem Axle Aluminum Phoenix Trailer with Custom Wheels, Disc Brakes, Vault Bearings, Swing Tongue, LED Lights, and Matching Spare. 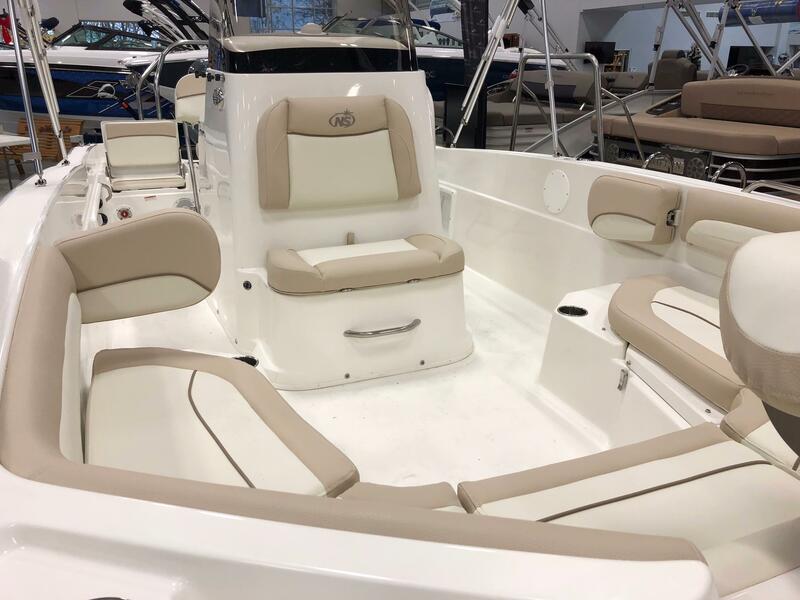 Start the day fishing with the family, put the rods up and have a nice lunch relaxing in the bow and then have a memorable afternoon pulling the children on the tube. 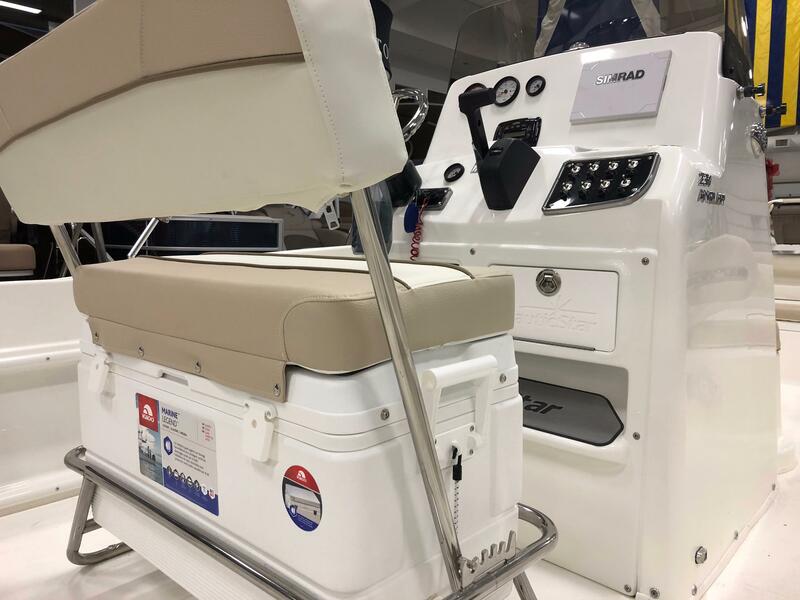 The 231 Angler does it all. 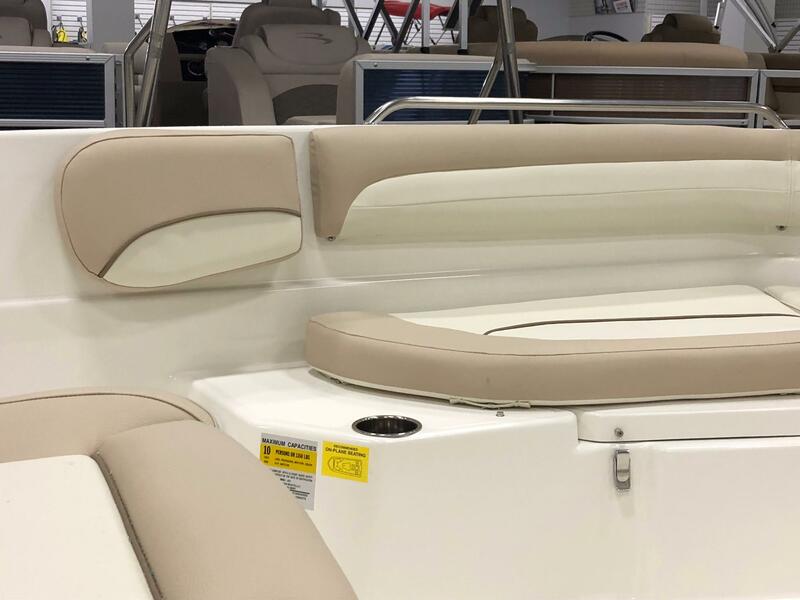 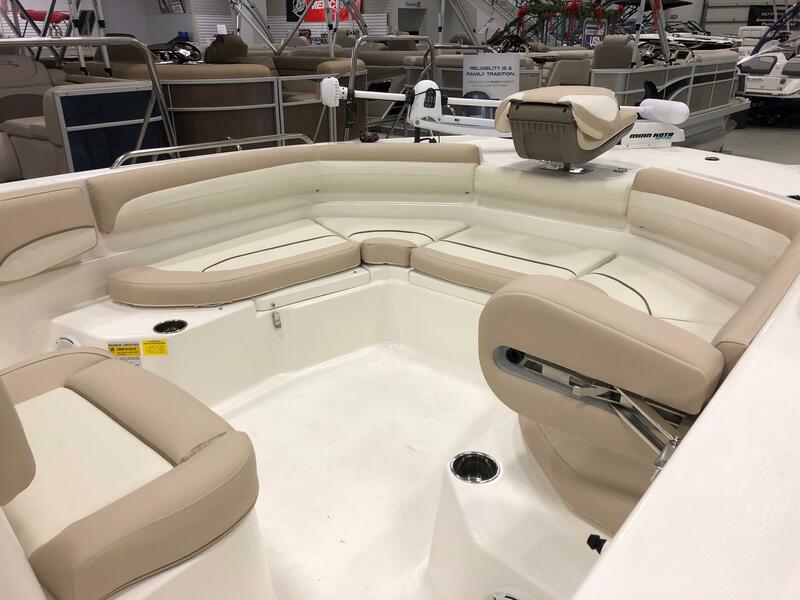 Seating for 10, a Bimini Top, Blue Tooth Stereo, and a swim platform are all standard features. 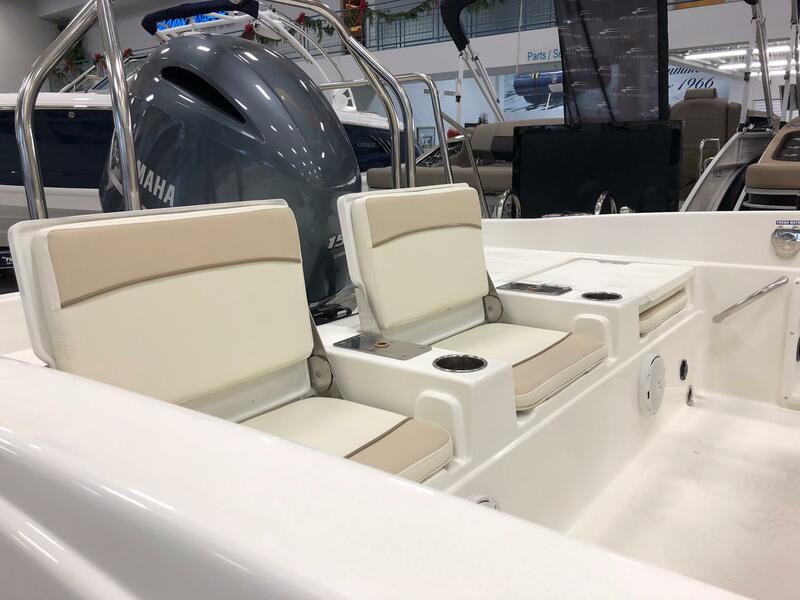 2 aerated live wells, 2 insulted fish boxes, 2 onboard coolers and a center console with head compartment are more of the fishing and comfort features that the 231 Angler offers. 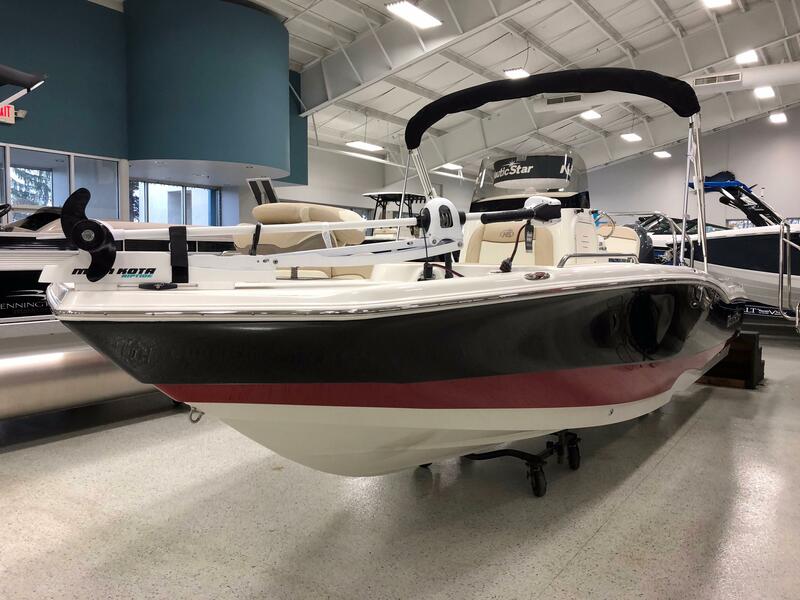 Performance, comfort and versatility describe this amazing craft.